Great idea for marketing, travel companies or just plain patriotic garden lovers! 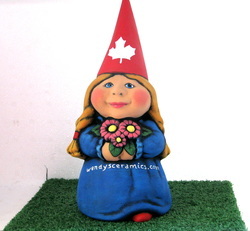 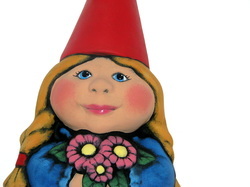 An adorable and lovely female ceramic hand painted garden gnome, medium sized (11 inches). Custom painted in your preferred countries colours. 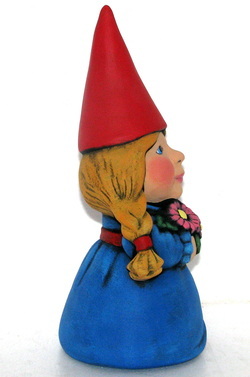 If needed for advertising we will paint the name of your company or website address across the front. Bright flowers and pretty braided hair will make this a cheerful decoration and great marketing tool! 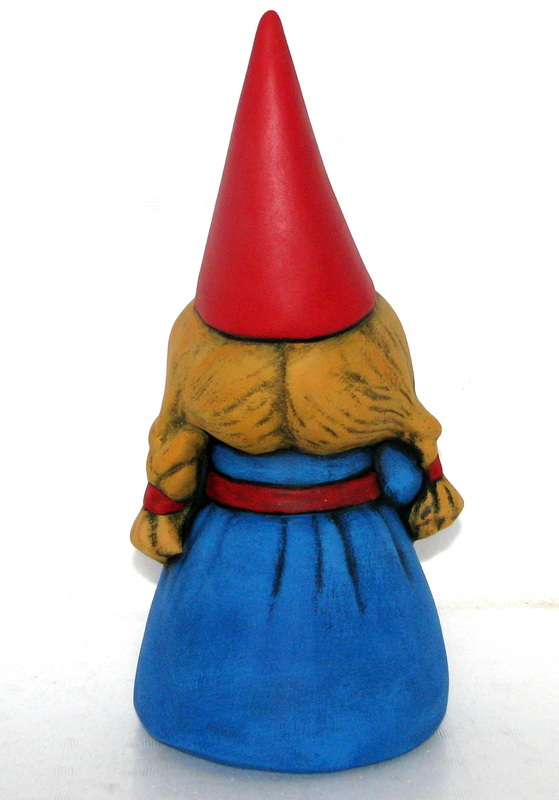 Hand-painted with a natural matte durable weatherproof finish on the body. 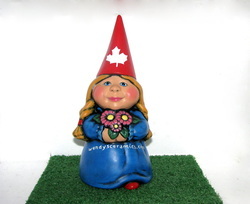 Weatherproof thus perfect for lawn and garden decoration, or even inside the home if desired. Can simply be cleaned with a cloth and water (or diluted cleaner).